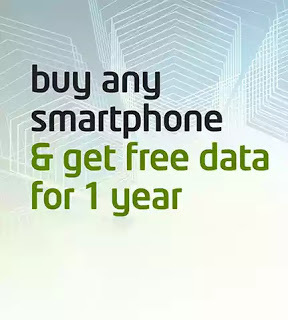 Etisalat NG is currently giving out free data for good one year when you buy a brand new smartphone from any etisalat experienced centers or authorized phone retailers nationwide. 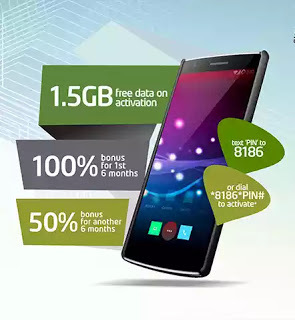 According to Etisalat, when you buy a new smartphone and activated it on the etisalat network (be it old or new sim), you will get 1.5GB instant free data valid for 30 days and also 100% bonus on all monthly data plans purchases in the first 6 months and 50% bonus on all monthly data plans purchases in the second 6 months. Isn't this interesting? Etisalat knows their game very well. They are doing everything possible to get new subscribers to their network. Although, it's still a way to put smile on the face of his subscribers. Remember, Etisalat is still giving out free 200MB of data when you install and register on MyEtisalat mobile app. This is not a cheat but an official offer from Etisalat Nigeria. They also posted it on their official Facebook page, Twitter page and even on their official website. Etisalat free data. Etisalat free mb code. Etisalat free mb code. Etisalat free mb data code.